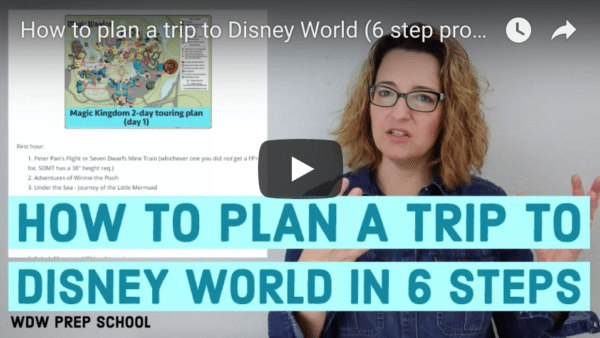 If this is your first trip (or your 50th) you may not realize that the Disney World parks are full of experiences beyond their iconic attractions. And while some experiences may cost extra, there are lots of things for guests of all ages to do that are free. 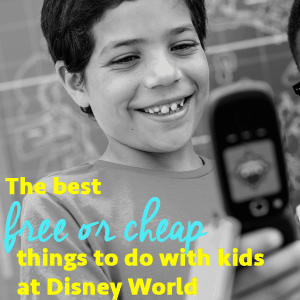 If you’re looking for something a little different to try (without breaking the bank) during your next Disney World vacation, check out these free and low-cost options for adding some extra magic in the parks. Description: Sorcerers of the Magic Kingdom is an interactive game that utilizes free playing cards (Portal Key Cards and Spell Cards) to battle against the evil Hades as he tries to take over the Magic Kingdom. Basically, it is sort of like an interactive version of popular card games such as Yu-Gi-Oh, Magic the Gathering or Pokemon, only, instead of using your cards to battle against other players, you use your cards to battle against the villains that you access at the various magical portals spread throughout the park. How to get started: New game recruits can sign up at the Main Street Firehouse. Cast Members will walk you through the easy sign-in process and give you instructions on how to use your different cards. When you sign up, you will also be given a pack of Spell Cards and a Portal Key Card that will be your master key to the game. Tips: Even though this sounds really confusing, the game is a lot of fun and it is something you can do across multiple trips. The cards also make awesome free and cute souvenirs. 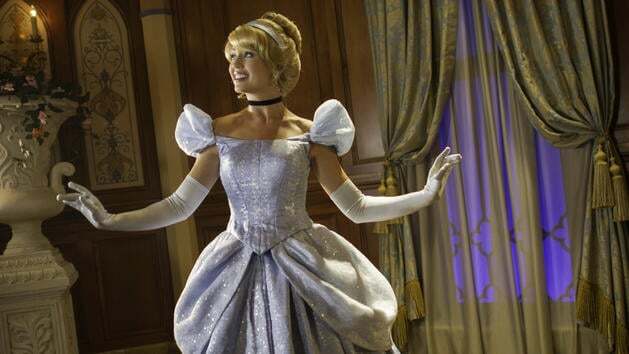 Learn more: Check out this fabulous post on how the Sorcerers of the Magic Kingdom works by guest post writer, Emily. 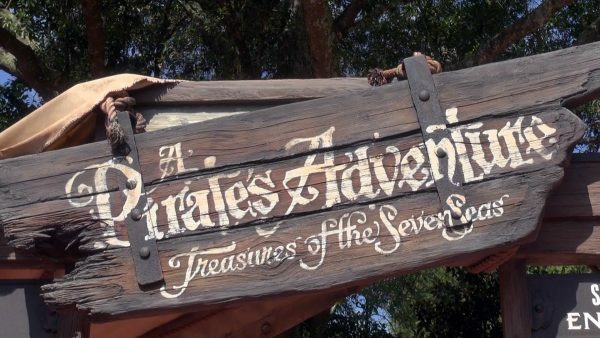 Description: Similar to Agent P’s World Showcase Adventure in Epcot and slightly less involved than Sorcerers of the Magic Kingdom, A Pirate's Adventure is an interactive quest that sends guests on a hunt in search of every pirate's favorite thing: treasure! Using a magic talisman (a RFID-enabled card) pirates participate in 5 adventures that, when complete, earn you a spot on Captain Jack’s crew. The adventures in this game do not require the same level of strategy that you might need in Sorcerers of the Magic Kingdom. Like Agent P's World Showcase Adventure, solving the clues usually triggers something to happen nearby. How to get started: Participants can sign up and receive their magical talisman card and treasure map at The Crow’s Nest in Adventureland. Each mission takes 15-20 minutes to complete; however, you can take as much time as you need and you can even stop and restart throughout the day. Tips: If you have any members of your party participating in the Pirate's League, this is a fun way to cap off that experience. Description: If you've never visited it before, the World Showcase in Epcot may appear on the outside to be more of an adult destination without too much going on for kids. And, while you may really want to visit, you may also worry that the younger members in your party will be bored. 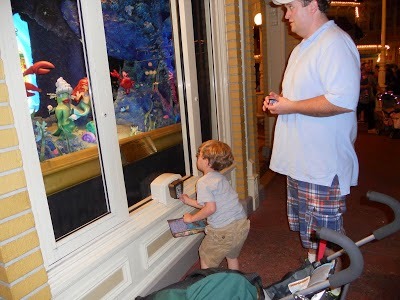 But, if you’d like the chance to explore the different countries without worrying about keeping your younger traveling companions entertained, then Agent P’s World Showcase Adventure may be for you. Participants in this adventure use an interactive handheld device (either a personal smart phone or one of the modified phones that you check out) to complete special missions to stop Dr. Doofenshmirtz’s evil plans. Missions are located in the Mexico, China, Germany, Japan, France and United Kingdom Pavilions and each takes 30-45 minutes to complete. You can do 1 or try them all (you’ll have to go back to a kiosk each time you want to get a new mission, though). The missions don't require a lot of strategy, but they are fun and clues will either trigger things nearby to happen, or have you completing a simple task in order to move onto the next clue. How to get started: Select your assignment and pick up a handheld device (if needed) at one of the kiosks that are located near the International Gateway or the Odyssey bridge or at the kiosk near the Italy Pavilion. Tips: Don’t be afraid to ask the Cast Members working the recruitment center which missions they would recommend, especially if the weather isn’t great, since some of the missions are completely inside and out of the elements. Cost: Free to collect traveler cards, stickers, and suitcase themed baggie and to color the complimentary traveler cards. However, you can choose to spend a little money (or make your own if you're crafty) on a passport. Description: Another fantastic way to get your younger children immersed in the different pavilions of Epcot is to seek out the Kidcot Fun Stops. 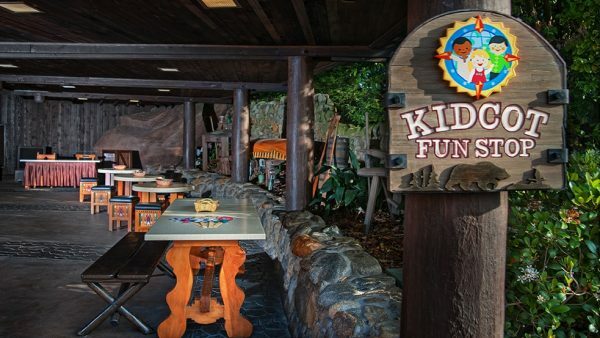 Located in each country, the Kidcot Fun Stops are basically tables set up to allow children to collect a traveler card with a fun fact about each country. The backside of the traveler card is a coloring sheet themed to the country and provides an opportunity to interact with a Cast Member representing that pavilion’s country. While you may be thinking that you can color at home, so why spend precious vacation time coloring, the best part of the experience comes from the interactions children have with the Cast Members. While participants color, the Cast Members speak about their native country, sharing basic information and even teaching a word or two. Each Cast Member will also mark the traveler card or passport with a word in the language of the country, a stamp, or a sticker. You can try to complete all the countries or just hit a few and save the rest for your next trip. Once you complete all the countries, you will receive a completion postcard. 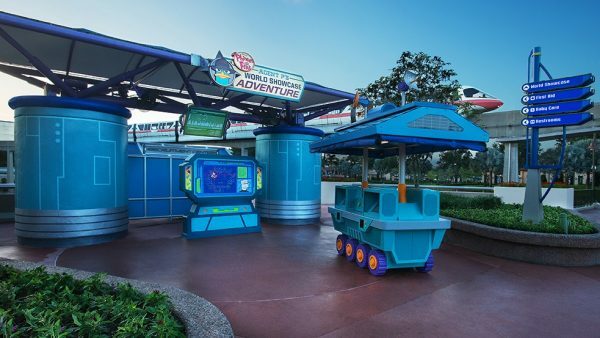 How to get started: Since the Kidcot Fun Stops are located in every pavilion of the World Showcase, you can jump in and get started wherever you'd like. The locations of the Kidcot Fun Stops can be kind of hidden, but any Cast Member located in that country will be able to direct you to the correct spot. If you want to purchase a passport, you can find them in almost any gift shop in Epcot. Tips: If you are crafty, or even if you know how to hit “print," you can find lots of cute ideas for making your own passports off of Pinterest. I really like ones that help you track unique snacks or drinks from each of the pavilions, as well as collecting stamps. Description: What do you get when you combine a scavenger hunt with one of the most beautifully themed parks in the world? You get the Wilderness Explorers - a unique experience that has you following in the footsteps of Russell and Dug (from the movie Up!) as you and your family work to become members of the famed Wilderness Explorers. Your adventure awaits as you participate in self-guided activities that will have you learning new things and exploring new areas of the park. Plus, once you complete each of the mini-challenges, you’ll be rewarded a sticker badge for your very own Field Guide (which is a fun and free souvenir from the park). One of the highlights of this experience is that participating in the Wilderness Explorers allows you to interact with lots of the amazing Animal Kingdom Cast Members as you complete each mini-challenge. 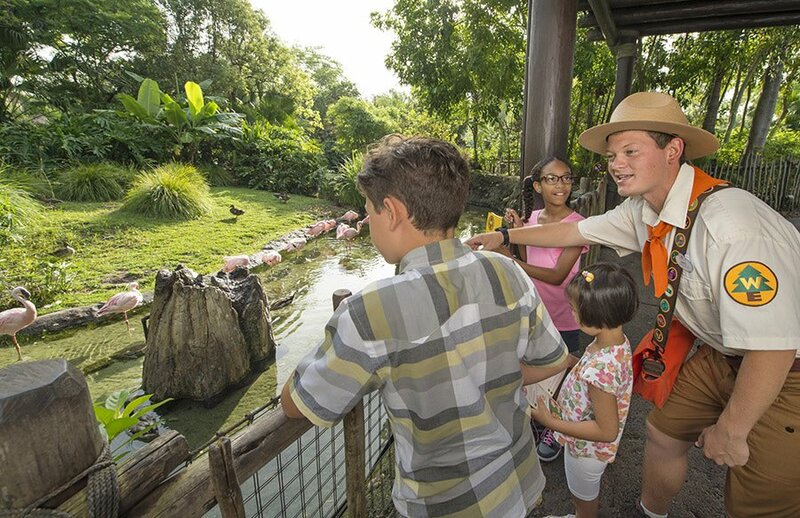 How to get started: Pick up a free Field Guide and map from either the Wilderness Explorers Headquarters located on the bridge between the Oasis and Discovery Island or from one of the Wilderness Explorers stops in either Dinoland U.S.A, Asia or Rafiki’s Planet Watch. Tips: There are a lot of challenges (over 30) so this may be something you need more than 1 visit to complete. Learn more: Check out the Disney website for more information. 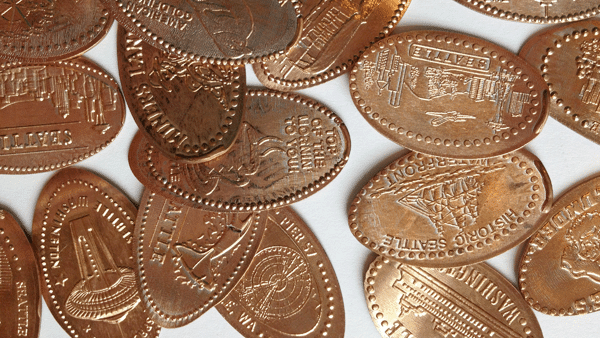 Description: Pressed pennies can be found at a lot of vacation destinations, but Walt Disney World is jam-packed with fantastic pressed penny (and quarter) machines. There are machines commemorating everything from attractions to restaurants to characters and more. Every year, pressed penny designs are retired and new ones are introduced, meaning this is an easy collection to add to if you plan to return. In addition, the machines are entertaining to watch - nostalgic even - and keeping with most things Disney, are usually heavily themed making it fun to search them out. How to get started: All it takes to get started is a pocketful of quarters and pennies. 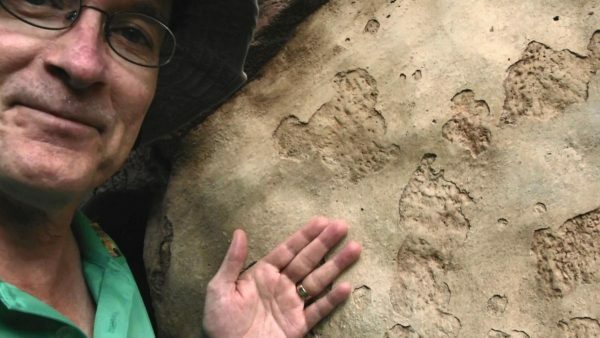 People who are interested in collecting more than the random pressed penny can find lots of resources on the internet including maps of current pressed penny locations. You can also pick up inexpensive pressed penny books in the parks if you’d like someplace to store your pennies after you return home. Tips: Consider making these cute coin containers to store your pennies and quarters in while touring. If you like original jewelry, you can find all sorts of tutorials for turning your pressed pennies into custom bracelets, pendants and earrings on Pinterest. Learn more: Check out PressCoins.com for listings of all of the machines at Disney World. Description: According to Steven M. Barrett (a.k.a., the “Hidden Mickey Guy”), a Hidden Mickey is “a partial or complete impression of Mickey Mouse placed by the Imagineers and artists to blend into the designs of Disney attractions, hotels, restaurants, and other areas.” Plainly put - a Hidden Mickey is that cute little Mickey shape we all know and love “hidden” in things like the print of a carpet or the stones in a wall. You can spend hours and hours at Walt Disney World seeking out Hidden Mickeys, or you can make it a casual game that you play while waiting in line or walking between attractions. How to get started: Once you have familiarized yourself with what you are looking for, you are set to start hunting. Tips: For people that would like a more organized method of hunting, I highly recommend spending a little money on either one of Steven Barrett's books or apps. Description: Disney and characters go hand-in-hand and, for some, a trip wouldn’t be complete without meeting a few (or more) of their favorites. The only thing it costs you to meet a character is time! A lot of the characters will also sign autographs, so if that is something you’re interested in, don’t forget to bring something for them to sign AND something for them to sign with. If you’re looking for a unique souvenir, check out some of the ideas for character autographs on the WDW Prep School Pinterest board. Some characters have PhotoPass photographers stationed with them, so if you’ll be taking lots of pictures, it might be a good idea to consider Memory Maker. Even if you choose to not buy Memory Maker don’t forget that you can still ask the Cast Members and PhotoPass photographers to take a photo with your camera or phone, too. How to get started: If you’d like to snag autographs from some of the more popular characters (like Anna and Elsa), you’ll want to have a plan in place for meeting them. Make sure you check the Times Guide (available at every park) to confirm meeting times for the characters and then have fun! The Character Queen wrote a fantastic guest post all about how to get started character hunting so make sure to read that before you go, too! Tips: Character meals are a great way to meet lots of characters without waiting in lines. You can read all about how those work here. Learn more: Lots more character autograph ideas on the WDW Prep School Pinterest account. Follow Shannon, WDW Prep School's board Characters on Pinterest. Have you tried or are you planning to try any of these activities out on your next trip? Share in the comments below. Dont forget Bibbity Bobbity Boutique … if you ask a cast member for pixie dust, they will sprinkle it in your child’s hair for free! We finished all the adventures in A Pirates Adventure on our last trip. The kiddos were very proud of themselves and received a special stamp on thier last map. I thought there were 7 adventures and not 5, but I could be mistaken. This is from the WDW site.